I wanted a buggy looking fly for panfish with great action in the water so I came up with the Bugger Baum. 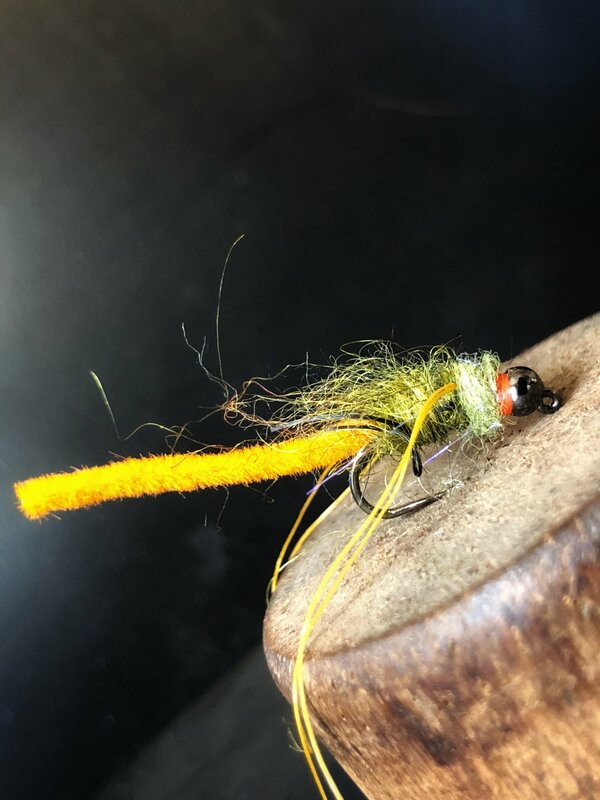 It’s tied on a Partridge Ideal Jig hook size 10, along with the tungsten bead which makes the fly sink quickly The Bugger Baum has a lot of movement in the water, and the panfish love it. Whether your jigging it on the bottom or striping close to cover this fly works great for blue gill and other panfish. Every time I go fishing for panfish this fly is always in my box! The Bugger Baum at work! Bead: Tungsten size can be varied based on sink rate you are looking for. Fly Tying Friday is going to be a regular feature here at Panfish On The Fly. These Friday blog posts will feature fly patterns submitted by our readers. Click on the button below to learn how to submit your fly pattern!